Today, it’s not uncommon to see a 500GB solid state drive in a high-end personal computer. 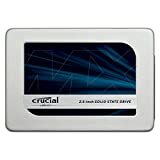 Sizes go up into the low terabyte range, but prices double at this level, so many computer users settle somewhere below. SSDs have become a fixture in most computers that are sold pre-built like laptops, and most builders have already started swapping out their operating system hard disk drives for SSDs in their custom machines. Lower prices have finally moved SSDs beyond the practical into the recreational, and predictably, users have started seeking the best SSD for gaming machines. Since they appeared the around the mid-2000s, gamers and computer enthusiasts have eagerly waited the day when solid state drives (SSDs) became more accessible. More accessible, meaning cheaper, and with enough space to use as a gaming system’s main storage instead of as an internal flash drive. We heard about the the ten-second boot times, and the speed upgrades for input and output, and wondered when they’d flood the shelves as all new machines usually do. And like all shifts in a defining part of technology, manufacturers needed a couple years before they could employ it confidently in production. Now, SSDs are cheaper, faster, and with more size options available than ever before, with its market growing by leaps and bounds over the past few years. The early SSDs were pretty light on storage, maxing out at about a handful of gigabytes in web-based laptops called netbooks. Larger capacities became more common around 2010, with 128GB, then 256GB around 2015. It was around that time SSD use shifted from just an additional drive to a home for operating systems, now a solution for all of a device’s storage needs. Okay, People Say SSDs Are Better; But How Do They Work? How Do SSDs Help with Gaming? Now that you understand what SSDs are and what to look for in a model, you can start narrowing down potential candidates for your gaming computer. To help you choose, we’ve put together a list of the best SSDs for gaming PCs. Capable of real world read and write speeds that exceed most SSDs on the market except a select few. Hovers around 1 GB in both read and write speeds. Being a PCIe it will be ahead of the curve for some time. A reliable foundation for a gaming rig at any capacity. Very slim physical profile, barely bigger than a stick of RAM. More expensive than non-PCIe SSDs, multiplying as storage is increase. The 960 Pro comes in many sizes, from 512GB up to 2TB, and the prices vary just as much. The 512GB is usually listed around $300, but some of the 2TB models are listed higher than $1,000. The smaller models are a hot item for new gaming builds due to its use of NVMe technology, which means it’s a PCIe SSD. The price point for a 512GB is a solid entry into PCIe SSD gaming, as it’s large enough to store a substantial library of games, and cheap enough to afford. Samsung’s official site boasts of read speeds of up 3.5 GB/s and write speed of up to 2.1 GB/s. Real world tests fall short of this, but the 960 Pro blows out most other SSDs in its weight class by a wide margin in terms of how fast it installs games, unzips packages, moves very large folders. Some stress tests recorded the 960 Pro’s transfer rate as high as 950 MB/s, second only to Corsair’s MP500. Read speeds from benchmarks were within a few percentage points of Samsung’s official listing, and write speeds close enough that it’s a big upgrade over a hard disk. Great cost-to-GB ratio at each size, the 850 is a sound entry drive into solid state storage. Not feature-packed. Great value, but not for power builders. 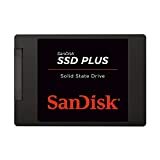 An affordable SSD for most gaming needs, the 250 GB version of this drive is less than $100, making it a popular choice for anyone looking to start their conversion to solid state storage. The EVO boasts what has become the norm for advertised SSD read/write speeds around 500 MB/s, and a range of sized from 128 GB all the way up to 4 TB. The general consensus among benchmarks places the EVO’s real-world speed in the 450 MB/s range, an upgrade over any hard disk, and for just few dollars more. It is the first SSD to commercialize V-NAND technology—stacking NAND arrays vertically instead of flat—making it a powerful unit and one of the best values for entry-level SSD users. Budget friendly SSD that’s affordable at each size. Read speeds during real-world benchmarks (450 MB/s) that were only 10% from SanDisk’s listings (500 MB/s). Write speeds in real world stress tests (325 MB/s) were 35% slower than the manufacturer’s advertisements (500+ MB/s). A household name with flash media, SanDisk’s most popular SSD is an expectedly affordable and surprisingly decent model. The Ultra II starts at 120GB and maxes at 1TB. The lower price point of the Ultra II is probably due to its lower-than-advertised speeds in real-time usage. The stress-tests for this SSD indicated that its read speeds are only 10% less than the manufacturer’s listing, but the write speeds were about 35% slower. It’s an entry-level device, but the speed and form factor are still a big step up from a hard disk. Uses V-NAND, makes higher storage capacities more affordable. The large sizes of this SSD are budget friendly for gaming pcs. It has a good variety of sizes, ranging from 64GB up to 960GB. Silicon Power is a relatively newcomer in the data storage market. The company was founded in 2003, as opposed to say, SanDisk, founded in 1988. This doesn’t mean their products are inferior, just that they haven’t cultivated the same reputation for reliability as older companies. This is another budget friendly SSD for gaming rigs, like the Ultra II. Their maximum and real world speeds are about the same, but you pay a few dollars more for the MX300’s increased storage space. The cost-per-gigabyte ratio is more favorable than SanDisk’s Ultra offerings, but you’re paying for a lesser-known name in storage manufacturing. Also, the MX300’s use of triple-level cells (TLC) instead of single or multi-level cells makes its write speeds notably slower than most of the other drives. This isn’t much of a hitch for gaming rigs, but still a lesser value compared to similarly-priced SSDs. Perhaps the most cost-effective device of the bunch, Silicon’s Power comes as small as 60GB and a half-dozen sizes between that and 960GB. Silicon’s Power uses 3D-NAND, meaning its smaller cards in the 120-500GB range are cheaper to produce. The savings are passed on the customer in the form of lower cost-per-GB at the higher capacities. The Power SSD produces real-world speeds that are comparable to its listed maximums, and is a solid choice for a supplemental install drive to hold more games. Smaller cards are among the cheapest available, with the 120GB. Cells are less durable (TLC), so not as many read/write cycles as cards that are slightly more expensive. The SP550 is an SSD that works with SK Hynix, a South Korean company known for inexpensive cell phone chips, and the second-largest producer of semiconductors in the world behind Samsung. As a result, their smaller triple-level NAND setups are cheaper than most SSDs on the market, and fast enough that the price tag doesn’t come with an obvious catch. 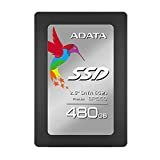 The SP550 does get a bit more expensive as sizes get above 480GB, but the 120GB and the 240GB are solid deals for a mid-level SSD. 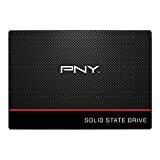 PNY is one of the trusted names in computer storage, and their most recent entry into the SSD market is what can be considered standard: sizes from 120GB up to 960GB, prices that multiply as you increase storage, and real-world speeds that are fairly consistent with their marketing ads. The read speeds were consistently around 500 MB/s during benchmarks, and write speeds came in at a robust 320 MB/s. The CS1311 is a solid SSD for gaming comptuers because it’s a cheap SSD with above-average read and write speeds, plus a low cost-per-GB ratio. Less read/write speeds than similar drives like the 850 EVO and the Ultra II, which only cost a bit more. Kingston is a company known for making hi-quality RAM, so it’s no stretch to see them doing well in flash memory. The UV400 is an SSD made with gamers in mind, as its read and write speeds both hover above 400 MB/s, making it one of the most consistent performers among all the SSDs on the market. The price tag is about what you expect, ranging from a budget friendly 120GB drive up to the higher-end 960GB version. Affordable at every storage level, a particularly good deal for the 240 GB, which is slightly more expensive than the 120GB. It’s fitting that SanDisk is the only manufacturer with two entries on this list, as they’ve earned their place as the most reliable name in flash media. The Plus can be seen as a cheaper, less powerful variant of SanDisk’s Ultra series. The write speeds are fairly low compared to other options (benchmarks routinely had it around 300 MB/s), but the read speeds are plenty fast for gaming (475 MB/s). The price tag on the 240GB model can be considered a good deal at those speeds. This is perhaps the most accessible of the PCIe cards, capable of speeds exceeding 1 GB/s reading and writing. Power builders will enjoy the minimalist form factor that barely takes up more space than a stick of RAM. 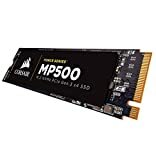 During benchmarks, most testers fund the MP500 did indeed exceed 2 GB/s read speed and 1.2 GB/s write speeds, by far outpacing every SSD on this list, including the acclaimed Samsung 960 Pro. Though real-world consistency left a bit to be desired, however, as speeds consistently dipped beneath 1 GB/s during high-intensity copying and unzipping procedures. The higher capacity models are steep: 480GB and 960GB versions to be exact, but the 120GB and 240GB are very good prices for this SSD’s capability. The simplest way to know how SSDs work is to think of them as the digital evolution to the hard disk drive’s (HDD) analog foundation. They are what CDs were to floppy disks, and what DVDs were to CDs. Instead of using an arm and rotating magnetic disks to write data to memory like a hard drive, an SSD uses electromagnetic impulses. Basically, a hard disk drive is like traveling to someone’s home to tell them something, and an SSD is like calling their cell phone instead; it’s the same result, but faster and with less work. The physical movement of the actuator arm and the rotation of platters in a hard disk takes real-world time. From a low-power state like stand-by mode or off, this can take even longer, hence the slow startup times compared to SSDs. Instead of a mechanical arm, an SSD uses a built-in device called a controller to handle its reading and writing functionality, so all the inherent speed increase is augmented by smarter data management. SSDs are essentially extending the capability of USB flash drives, where their increased size and SATA connections allow for more complexity than their portable predecessors. Replacing physical memory with flash memory means smoother environment drawing, more efficient asset retrieval, and much shorter load times. Asset retrieval is when a game reaching into a database to a 3-D object that represents a sword, a medicine pouch, or an assault rifle. Online games store some of the game’s assets on the host’s server and put the rest on the player’s computer. When an online game experiences lag, it is usually because an interruption in Internet service stopped the game from retrieving the required assets for an event that was cued to happen onscreen. The local assets are there to support these online events, and any method that speeds up their retrieval takes pressure off the other side and makes gameplay that much smoother. SSDs can improve the performance of offline games as well, especially open world titles. In open world games, designers will often load just enough environment around the player to create the appearance of a seamless world around them as they travel. As long as the player can look off into the distance and see shapes there that resemble real objects, there’s enough of an illusion tell a story. However, there are instances when a player’s movement exceeds the game’s ability to load the next environment quickly enough. This is called hitching, when objects pop into view, mountains and trees appear from nowhere, and buildings are seen floating above the void before the ground takes shape. Whatever spell the narrative was trying to cast is usually broken at this point. Like online games, SSDs simply make the retrieval of local assets faster, which lessens hitching and contributes to a smoother, more immersive gaming experience overall. Maximum speed is one of the most important attributes of any gaming drive, as it will give a clear indication of how fast your device reads and writes data. Retrieving assets more quickly means shorter load times and more immersive gaming due to the absence of interruptions. It also lets buyers know how well their computer will scale when it’s time to upgrade the rest of the machine. There are utilities all across the web for reading your disk read/write speed, and some operating systems have them built in. If you’re upgrading from a hard disk or a lesser SSD, you can use your device’s read/write speed as a platform for further inquiry. Real-world speed is the absolute speed of an SSD when you apply practical workloads, which usually come in the form of benchmark stress tests that emulate real-word tasks like moving a large file or unzipping a large archive. This spec considers that many drives house the operating systems that constantly run in the background as well as the gaming applications that run in the foreground on top of them. Entry-level SSDs can read and write up to 500 megabytes-per-second (MB/s), compared to a hard disk’s maximum read speed of 175 MB/s, and write speeds lower than 70 MB/s. Manufacturers usually list maximum speeds because they look better on paper than real-world speeds, so you’ll need to consider more than just the official listing. It is recommended that you poll multiple sites when deciding on a solid-state drive. That way, you can compare the real-world speeds with with the advertised maximums and draw an informed conclusion. NAND flash memory is a broad categorization for one of the two most common setups used in flash technology, the other being NOR flash memory. NAND can be seen as the evolution of NOR, though the latter still has some benefits that allow it to avoid becoming obsolete. Typically, NAND chips have higher storage capacity, better power efficiency, and better write speed; NOR flash usually has better idle power consumption and improved read speeds. Because of these attributes, NAND is suited for solid-state drives, while NOR is suited for embedded memory. Vertical NAND, better known as V-NAND or 3D NAND, is the next stop in NAND technology; it simply fits more memory cells in a single drive by stacking them vertically instead of laying them flat. Single and Multi-level cells define the organization of flash memory in an SSD (and other devices that use flash). A cell is how a solid-state drive passes read/write tasks through electric impulses. More cells sound like an improvement, but it means more voltage passing through the SSD, which means a shorter life cycle, as well as higher margin for error. Multi-level cells are used for many flash-based drives like SSDs because they are cheaper to manufacture. Some experts believe single-level cells are an upsell for consumer, asserting that most drives built with them are only marginally more efficient in real-world computing. Enterprise SSD may want to consider that single-level cells last ten times longer than multi-level cells, but gamers are more likely to to replace their parts quickly. A multi-level NAND cell in a solid state drive has a lifetime of about 10,000 erasures, where a single-level NAND cell lasts for 100,000. A single-level NOR cell can make it to 1,000,000 before it degrades, making the lifetime of a device that uses single-level NOR 100 times longer than a multi-level NAND setup. Error-correcting Memory, or ECC memory, refers to the fail-proof memory used in drives that cannot afford data loss. ECC prevents inherent bit loss that occurs during abundant and continual data transfers like those in enterprise servers, bank databases, and government systems. It’s not as vital for gaming, but ECC may shore up the continual changes in clients like Steam and Origin, as well as large-scale MMORPGs. Consumers pay more for ECC memory, the only argument against it. NOTE: Many SSDs read faster than they write. For gaming, read speeds are more important because they measure how efficiently the drive presents game assets. Write speeds should still factor if you want to be able to install quickly and move files around without hindrance, but not as much for actual gameplay. SSDs use SATA cables to transmit data, which are theoretically capable of sending data at 700 MB/s. Real-world transfer rates for SSDs connected via SATA max out about 500 MB/s, and the SATA cable has all but replaced the IDE ribbon cable as the standard for internal drives. The PCIe slot, the one typically used for video cards, is capable of speeds is capable of two and a half times the speed of a SATA cable. In theory, an SSD that plugs in PCIe would be capable of 1.5 GB/s transfer rates. Outside of blazing fast boot times, it means games that load in three seconds instead of twenty, and minimized lag in all online gameplay. As is the case with most brand new technology, the catch is in the price tag. A 500 GB Samsung SSD will cost you from $1xx online, while a PCIe SSD of the same capacity starts at $3xx and runs as high as $6xx depending on the seller. The steep price tag makes PCIe SSDs a tall order for the average gamer and more for the enterprise crowd, though a person who is serious about putting together the fastest gaming rig possible should consider including at least one PCIe drive. Power builders will want to seek out NVMe SSDs like Samsung’s 950 Pro. You should be aware that these drives don’t connect via SATA cables, but through PCIe slots, so make sure you’ve got the motherboard ready for it before consideration. For most gamers, and for those of us with limited budgets, we think the best value for your dollar is the Samsung 850 EVO, which is unsurprisingly the most popular of the new wave of gaming SSDs. It’s low price point per GB, ample storage for game files, and its consistent real-world performance is a good foundation for any gaming rig until PCIe takes over.